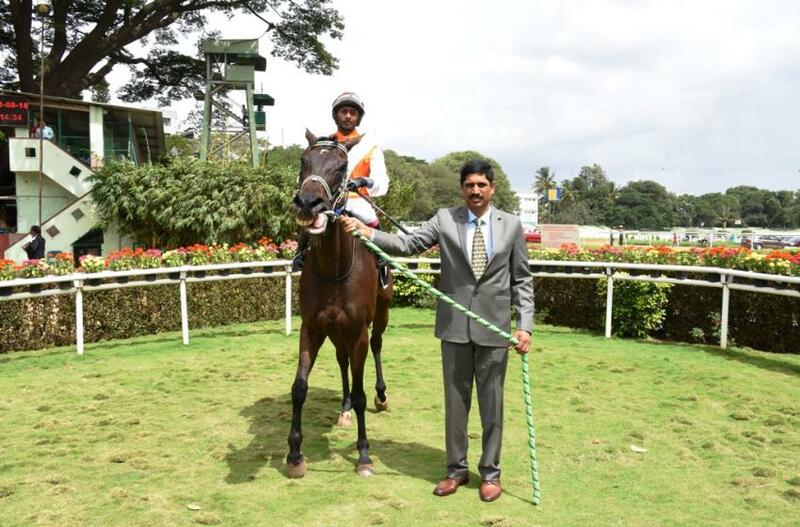 Arjun Mangalorkar trained Kambaku ran true to potential and reversed the verdict on favourite Dancing Dragon in splendid fashion in the Gr 3 2400 metres Governor`s Cup, a terms race for four-year-olds and over, the feature event of Friday`s Bangalore races. Kambaku`s aggressive front-running tactics suited the progeny of Win Legend fine and the trick played off as Dancing Dragon got caught in the traditional pitfall of horses losing because of conceding ground and trying to retrieve it late in the race. Horses can give the weight but not distance is an oft-repeated statement in racing. Time and again, races are lost by sticking to a set pattern and not thinking on the feet. Jockey Trevor Patel perhaps erred in sitting too far behind on Dancing Dragon like he had done in the past but the cardinal error he made was in not judging the pace of the race. When the front-runner enjoys an uncontested lead and slows down the pace of the race, he will not only have the advantage of a good cushion but also the stamina to spurt which has a decisive say on the outcome of the race. This is exactly what transpired in the race. Kambaku had won earlier during the season pacing up with the field and taking over the running before the final bend and winning as he pleased. Unaccountably, Kambaku was ridden off the pace in the Maharaja`s Cup and the race had boiled down to an extended sprint which helped Dancing Dragon swamp the opposition. 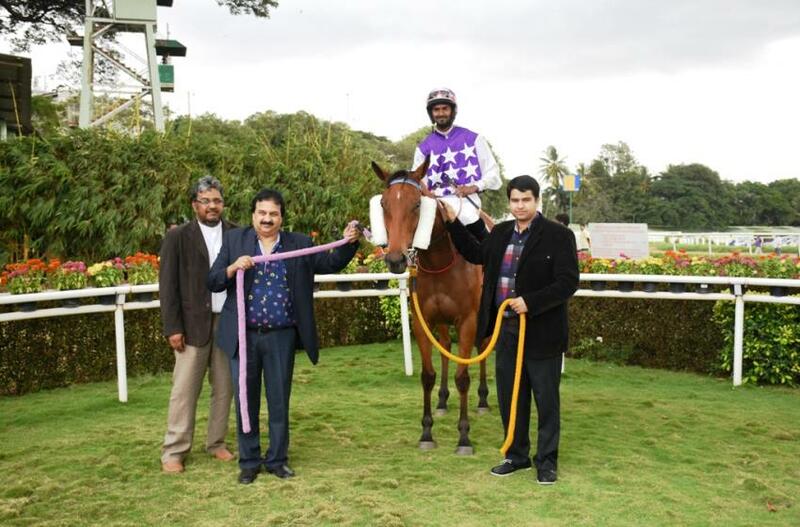 This time out, jockey Yash Narredu did everything right whether pre-planned or because things fell on his platter. He had Kambaku enjoy a big lead over the rest without having to expend the energy of the horse as the others chose to relax behind, not for a moment thinking whether the front-runner was allowed to run loose and gain a decisive advantage. By the time the field came to the 700 metres marker, Kambaku had led by a distance. Trevor sensed the danger and made his move but the lead conceded was too much to bridge as Kambaku had enough legs to sail past the post more than three lengths ahead of late-finishing Dancing Dragon who found the task of catching up with the front-runner an uphill task. Fabulous ran on strongly at the finish to edge out Salazaar to get the third place. The victory of Kambaku helped Dashmesh Stud Farm to literally sweep the major races of the summer season, with their proud stallion Win Legend being singularly responsible for the stud farm enjoying the exalted status. 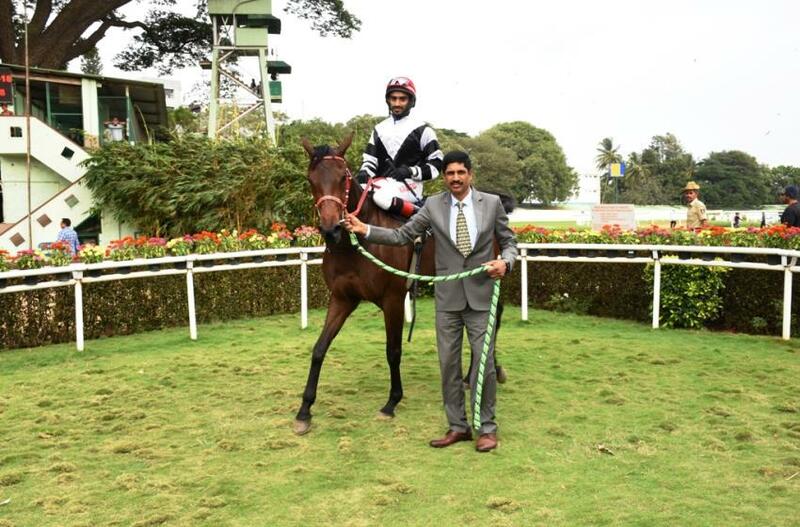 Prasanna Kumar trained St Pauli Girl pulled it off in the 1600 metres R S Nagendra Kumar Memorial Trophy, a race for horses rated 45 to 65. Apprentice jockey Anthony Raj had St Pauli Girl lead all the way and the progeny of Burden of Proof just about held on to win from the late-flashing Good Time Indeed. The latter who was in about the fourth position along the rails till the final furlong was angled out to get a clear run and the progeny of Top Class was full of running when covering acres of ground to finish an eye-catching second. 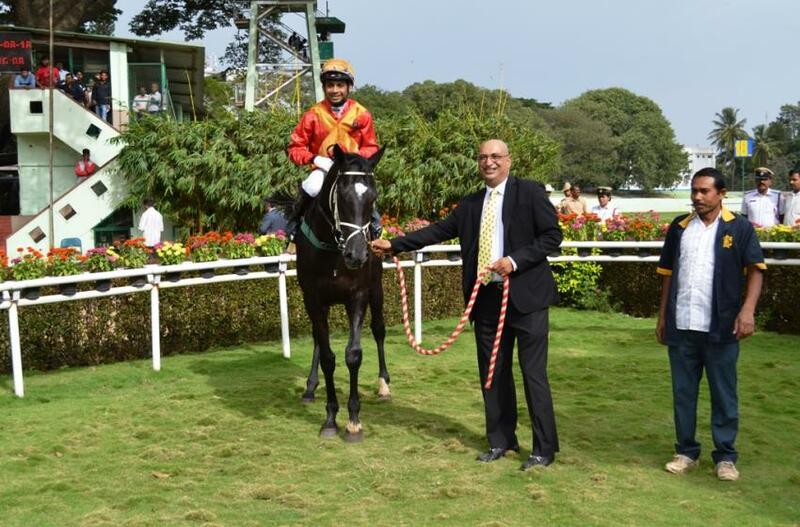 Had jockey Akshay Kumar been more alert to the danger and got busy earlier than he did, there could have been a different result because Good Time Indeed appears a stout stayer and a more forward approach could have made a difference. Sporting Pleasure had come into strong reckoning through a ground-saving run but lost the runner-up berth close home. 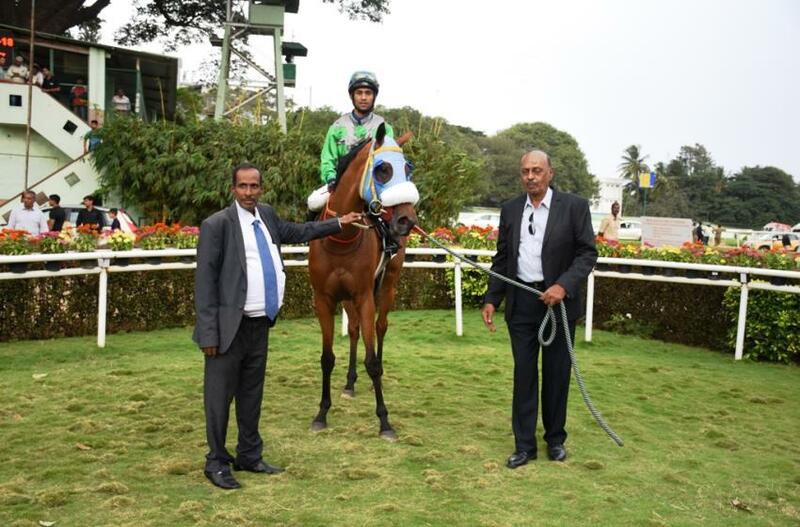 Nityanand trained The Invader who had the requisite form to win the 1400 metres Quasar Plate, a race for horses rated 15 to 35, duly obliged. Fancied Summer Palace got the better of front-running Girl With Pearl in the final furlong and surged ahead. When Zervan brought The Invader with a strong run on the outside of the front-runner, Summer Palace had no answer and surrendered meekly. The Invader sped away for a comfortable win. 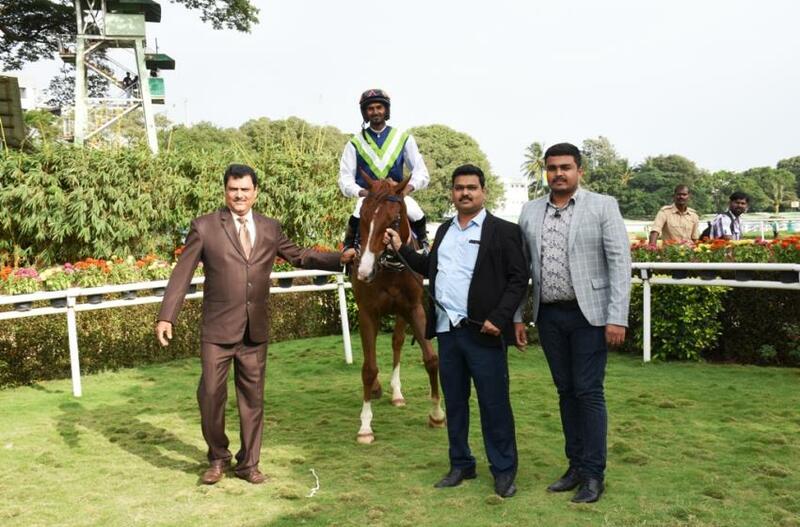 Lesser fancied Ewandor from the stables of trainer Gregory Sandhu won the 1200 metres Col Rajkumar C Desraj Urs Memorial Cup, a race for horses rated 30 to 50. Black Lightning led deep into the straight before Ewandor took charge and held off the late rally off Mayweather. Black Lighting retained the third place ahead of War Hero who made a valiant bid but lacked the extra spark to make a difference to the outcome of the race. 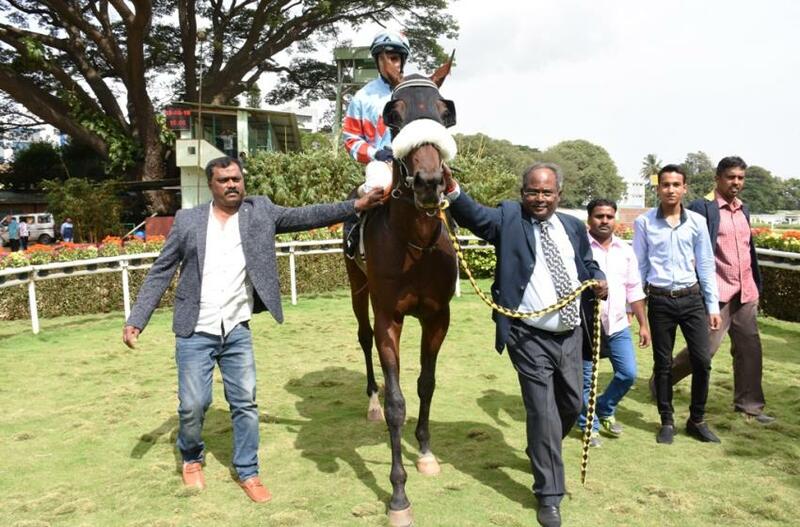 Narayan Gowda trained Amalfi Coast who came in for sustained betting in the Lively Emprey Plate (Div I), a race for horses in the lowest category obliged the market expectations quite easily. Amalfi Coast who had finished more than nine lengths behind in her last run showed good improvement. All By Myself attempted start to finish tactics and was not inclined to give up easily. Amalfi Coast was driven out to get the better of the front-runner and in the end, was storming clear. Shivalik Boy came up with a late run to save the place money. Another horse Moon Blink from the same stable, showed similar improvement when taking the lower division of the race from Toronto. Scorching was third. The races in this category are only meant for those who bring their horses down way below their known capability for a coup and it is a pity that the BTC authorities encourage these measures by accommodating more races in this category. Britto trained Rosebrook who had been raced with positive intent all through the season, easily accounted for the opposition in the 1100 metres Treasure Girl Plate, a race for horses rated 15 to 35. Princess Rumela led till the final furlong and Rosebrook who was in the chase, easily overhauled the front-runner and went away for an easy win. Princess Rumela managed to keep the second place by a whisker from late-rallying Limato.